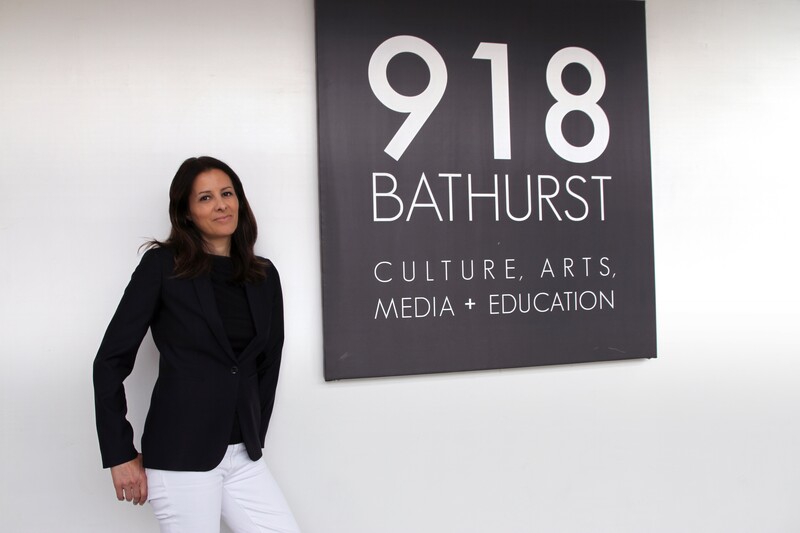 TORONTO - 918 Bathurst Centre for Culture, Arts, Media and Education, is delighted to announce the appointment of Daniela Nardi as its Executive and Artistic Director. Daniela is taking over from Menon Dwarka who is pursuing opportunities at Arts Etobicoke as their new Executive Director. Menon was instrumental in fostering new relationships with the Arts Community in Toronto. Daniela brings a wealth of experience, love and passion for the arts and culture to the role. She has over 20 years as an arts entrepreneur, presenter, musician, and recording artist. She has served as a marketing and communications director/strategist and fundraiser for arts and non-arts environments. She is a graduate of York University’s Fine Arts program in Music, as well as Humber College Jazz program. Daniela has been steeped in the cultural scene locally, nationally and internationally, with a special focus on Italian Canada. Daniela is the Founder and Artistic Director of Salone di Cultura, a successful series of bilingual, multi-modal cultural exchanges between Canada, Italy and its sizable diasporas. She is the past Chair of the Culture Committee for Villa Charities. Daniela also served as the Cultural Director at Toronto’s Columbus Centre, where she developed the institution’s forward-looking Cultural Strategic Plan. 918 Bathurst, the arts and cultural sanctuary in the Annex neighborhood, is an Associate Member of the Bloor Street Culture Corridor, which includes the Royal Ontario Museum, Royal Conservatory of Music, The Gardiner Museum, Alliance Francaise Toronto and 15 other prominent Toronto cultural organizations. These partnerships have allowed 918 to strengthen its connection to the local community and benefit from the leadership of these institutional pillars of Canadian arts and culture. Daniela has also served on the advisory board for Prism Music Video Prize, as a member of SOCAN, Toronto Musicians’ Union, ACTRA and Canadian Guild of Canadian Film/TV Composers.